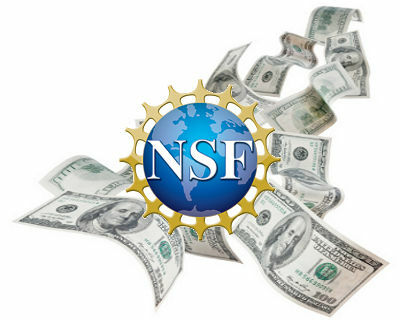 June 28, 2007 - The National Science Foundation (NSF) recently approved a one million dollar scholarship program for the Security Assured Information Systems (SAIS) track at the School of Information Sciences. Over a period of four years, the program will support three cohorts of four graduate students in their pursuit towards Masters and PhDs in Information Science or Telecommunications and Networking with the SAIS track option; thus, ensuring a pool of qualified Information Assurance (IA) professionals to protect the global cyberspace community. Scholarship recipients will benefit from the multidisciplinary educational environment combined with a high quality IA curriculum at SIS, which is one of only twelve in the entire nation to receive certification in all five national IA educational standards set by the Committee on National Systems Security (CNSS). Additionally, the scholarship program emphasizes a "user-friendly" environment where students/recipients are assured of: a diverse cross section of students; a supportive mentoring network; and opportunities to engage in University-wide opportunities for professional development. More specifically, the scholarship program seeks to address the growing need for a workforce trained in the development, design, and implementation of secure information systems. Graduates of the SAIS track in Information Science and Telecommunications will be qualified to manage the security of large networks and infrastructures. On a broader, social level, the scholarship program will emphasize the recruitment of underrepresented groups in IA through its relationships with minority postsecondary institutions. Thus, ensuring a more diverse and wide-ranging pool of qualified IA professionals to serve the global community in its quest for protecting cyberspace. SIS is proud to be a recipient of the NSF grant to support more Masters' students in the Security Assured Information Systems track of study. The grant was awarded to SIS faculty members James Joshi (Principal Investigator), Prashant Krishnamurthy (co-PI), Michael Spring (co-PI), and David Tipper (co-PI). This team of educators has been very successful in securing funding to support the development of the track of study, the associated research center (LERSAIS), and students interested in becoming information security professionals.